Between virtual private networks, load balancers and anti-DDoS protection, choose the best options to improve and secure your infrastructure. A physical private network, to securely connect or isolate your servers. With vRack, you can build a global cloud infrastructure, with servers hosted across the globe. 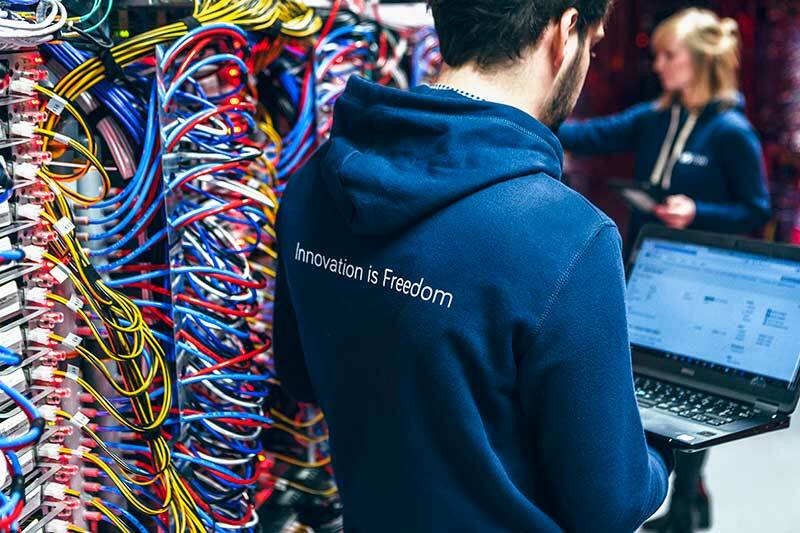 OVHcloud Connect is a hybrid solution you can use to connect your own network to the infrastructures you host in our datacentres. Deploy your cloud via a private, secure and high-performance network. With additional IP addresses and IP blocks, you can have the flexibility you need to develop your projects. 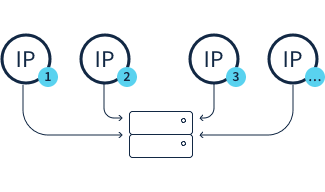 With a failover IP, you can redirect traffic from one server to another if you need to. You can also boost your company’s international presence, using geolocated IPs, based in the countries your business is looking to target. 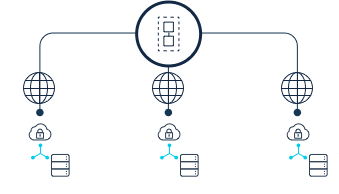 Guaranteed flexibility and high availability for cloud products with the OVH Load Balancer. The traffic load for your services is distributed between your various IP address, giving quicker response times and optimised performance. 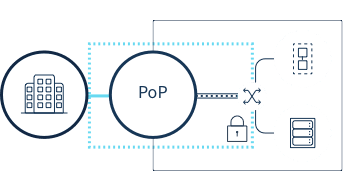 OVH anti-DDoS protection is included with all of our services, and provides powerful, round-the-clock protection against distributed denial-of-service attacks. If a DDoS attack is launched, your activity is not affected. Both small and large enterprises can find themselves exposed to cyberattacks, regardless of whether or not they are the primary target. The most common form of attack is DDoS, which involves making a service unavailable by saturating the server with a flood of requests. If an infrastructure is not properly secured, it may also be exposed to data leaks and full data loss. Don’t wait until an incident occurs before you take action. The best way to protect your activity against any incidents is to opt for a model that is secure by design. This means designing your cloud infrastructure with security as a priority. It is also vital to ensure that your teams are highly trained and well-informed about cyber security, so that you are fully prepared against any incidents. You can get in touch with our support team if you need any help in this regard. This is why we offer a comprehensive range of solutions that ensure constant high availability for your infrastructures. We also include our anti-DDoS protection with all of our products, and maintain our cloud solutions' security by constantly improving our own infrastructures.